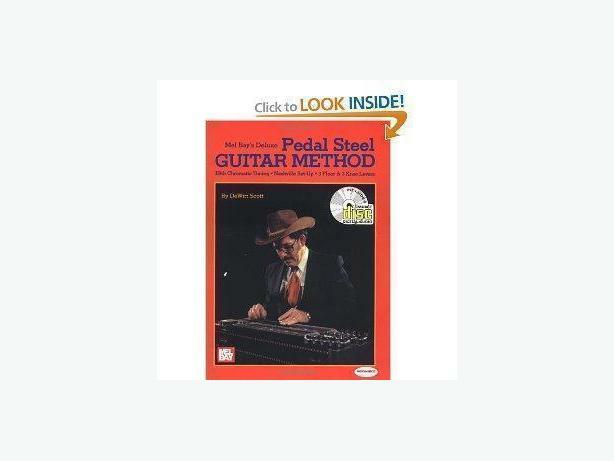 PEDAL STEEL Guitar Method book with 200 pages of instruction , tricks , chords , Theory and songs complete ! Probably the Best Pedal Steel book around for beginners and advanced . / Author is Mel Bay and by Dewitt Scott . This book has never been used and is New . Coil Bound to last for decades and will not fall apart . Shipping extra .